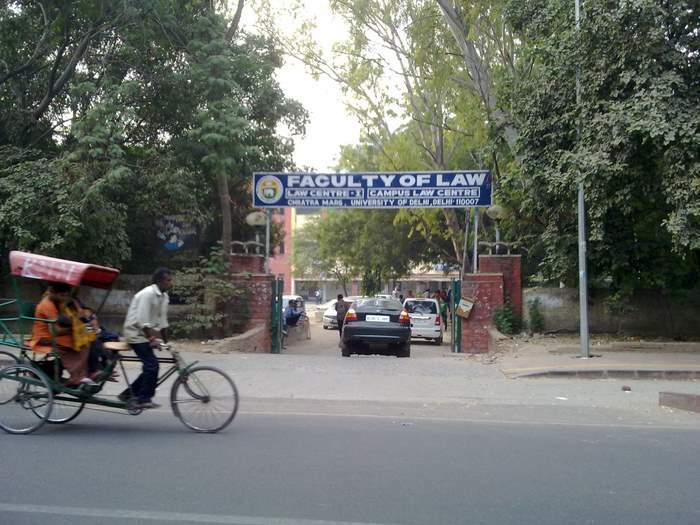 The Law Faculty of University of Delhi has decided to shift its 90 year old campus to a single building located in the North Campus. All the law centres namely Campus Law Centre, Law Centre-I and Law Centre-II currently having over 7,500 students enrolled will hold their next session in the building adjacent to W.U.S Health Centre at Chhatra Marg. 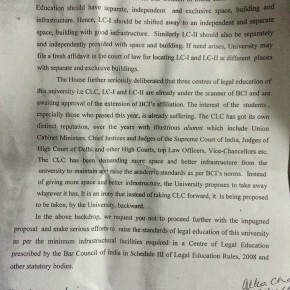 The decision came months after criticism of poor infrastructure by the BCI (Bar Council of India) – the regulatory body for legal education in the country followed by the derecognition of the faculty in September 2014 after varsity failed to seek timely extension of the affiliation of its three centres. Campus Law Center Union protests against the decision of shifting to a relatively smaller building that has no scope for lawns, libraries and seminar halls. 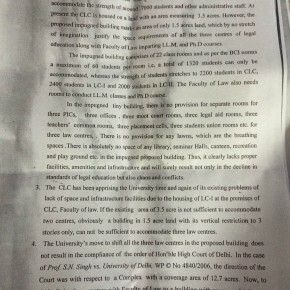 Students of the Faculty are largely upset over this decision, mainly due to the fact that the new building spread over 1.5 acres can only accommodate about 1,300 students whereas the size of Campus Law Centre alone is 3.5 acres. 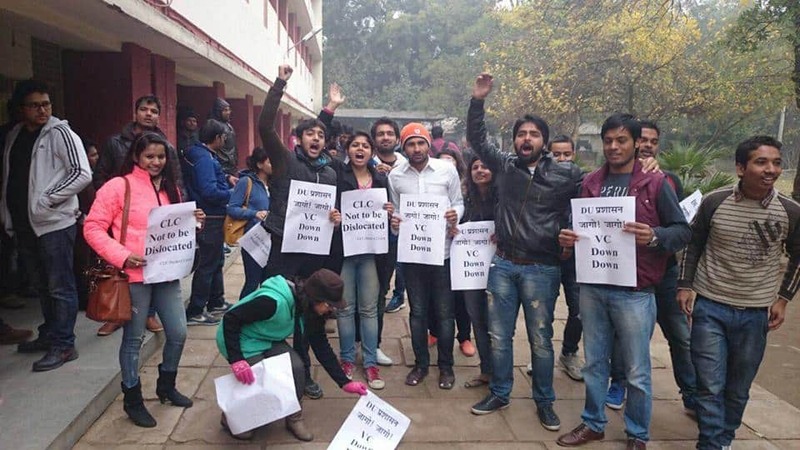 The Campus Law Centre’s student union went on to organize a strike against the decision. The faculty of Campus Law Centre has also expressed its disappointment with the decision, calling it “neither viable nor practical”. It also agrees that the ‘tiny impugned building’ has no provisions for libraries, lawns and seminar halls. The letter by Dr. Usha Tandon, Professor in charge to Pro Vice Chancellor, University of Delhi. 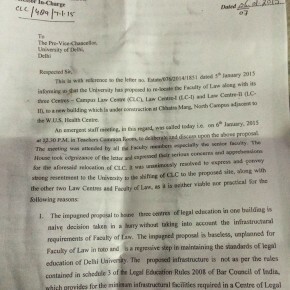 “The impugned proposal to house three centres of legal education in one building is a naive decision taken in a hurry without taking into account the infrastructural requirements of the Faculty of Law.” Dr. Usha Tandon, professor-in-charge, CLC said in a letter to the Vice Chancellor of University of Delhi. 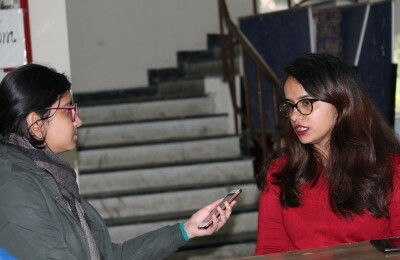 According to her, the decision to shift the campus is “a regressive step in maintaining standards of legal education of Delhi University”. Currently, the Campus Law Centre and Law Centre-I are located in the North Campus and Law Centre-II in the Atma Ram Sanatan Dharam College building at Dhaula Kuan. Post by CLC Student’s Union 2014-2015. 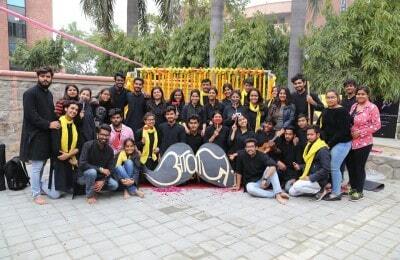 Written By: Kartikeya Bhatotia (kartikeyab@dubeat.com) for DU Beat.